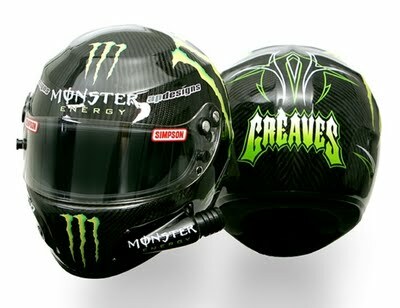 Monster Energy and off road racing’s elite team of Johnny Greaves and Jeremy McGrath have selected Simpson Performance Products as their official helmet supplier for the 2010 off road racing season. Greaves and McGrath both will wear the Simpson Devil Ray carbon fiber helmet. 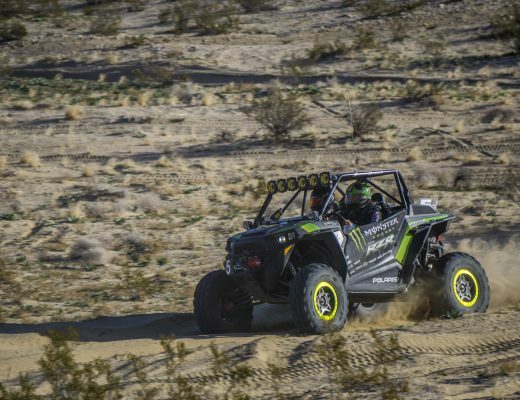 With over 70 off road racing career wins since making the move to four wheels, former motorcross rider Johnny Greaves has earned the title of “winningest driver in off-road short-course racing” and currently holds the world record for the longest jump in a four-wheeled vehicle at 301 feet. McGrath, notibly the most successful rider in Supercross history, holds twelve major championship titles. Having conquered Supercross, he is quickly making a name for himself in short course off road racing.